Make the most of the little everyday moments—even in the car. 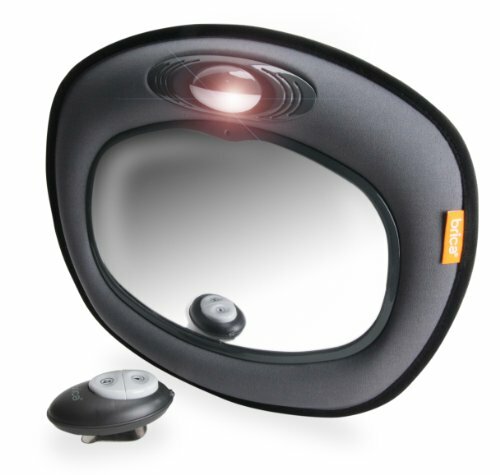 This distortion-free musical mirror keeps you and your baby connected while you drive thanks to the shatter-resistant Clear-Sight surface. And with the handy remote control you can check on your sleeping baby, turn on a comforting nightlight, or choose from five soothing melodies if things get fussy. Crash-tested for safety, this fun, practical mirror provides more smiles per mile—for both of you.